The equation for the area of a circle is Pi (3.14) times the square of the radius squared. 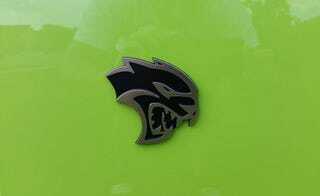 The Dodge Challenger Hellcat was unleashed in 2015. It has 707 horsepower. Pi x 15^2 = 707!!!! Hellcats burn up circle-shaped tires!!! !